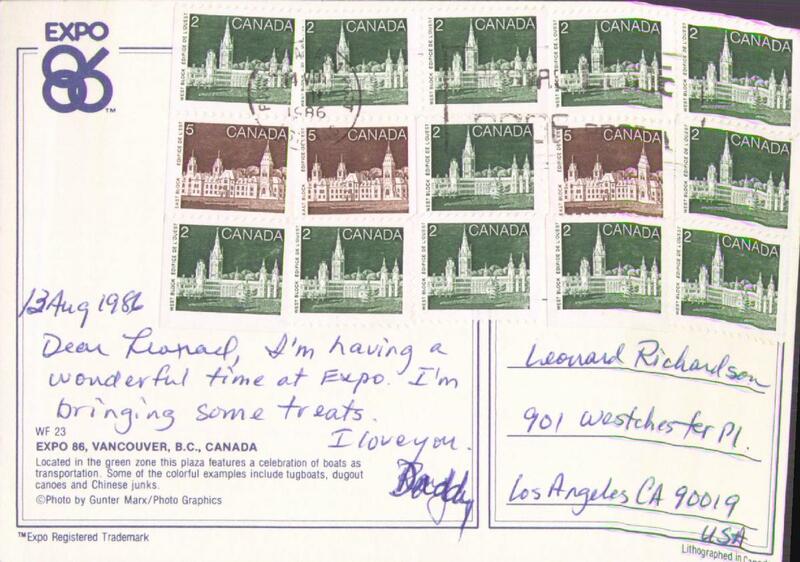 Dear Leonard, I'm having a wonderful time at Expo. I'm bringing some treats. 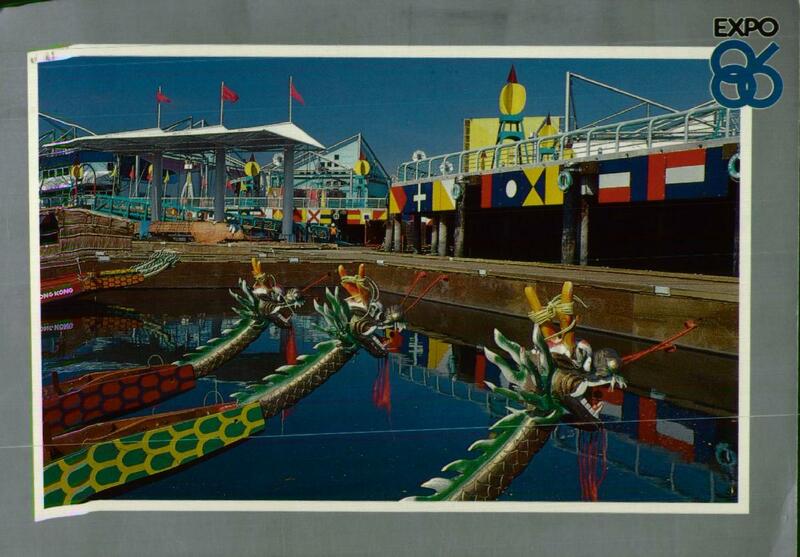 One of my favorite postcards solely because of the huge number of stamps on it.